Saturday evening, Tawn officially launched his Tawn C label of women’s clothing. About two dozen friends and former fashion school classmates came to our house to view and try on his collection, see the website, and click “like” on his label’s facebook page. 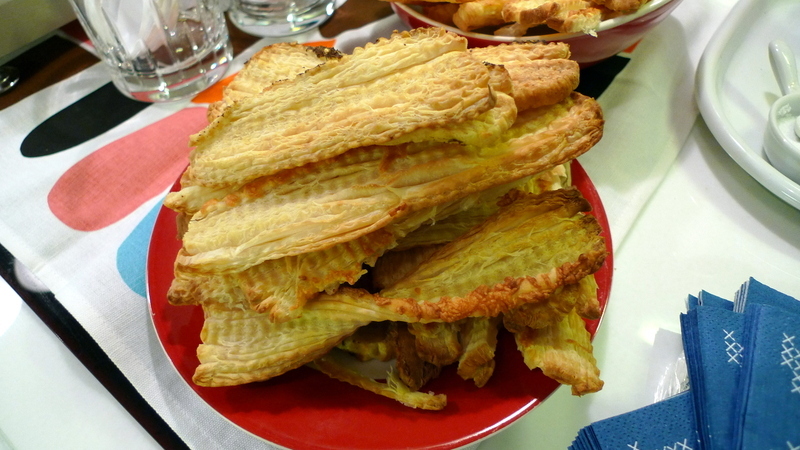 Pastry puff strips baked two ways: with Italian cheeses or za’atar, the Middle Eastern spice made with sesame seeds and various herbs. Toasted baguette rounds with smoked ham, whole grain mustard, Spanish olives, and cherry tomatoes. Toasted baguette rounds topped with a roasted beet and green apple salsa, improvised from a Martha Stewart recipe. Toasted baguette rounds (I toasted a lot of those!) 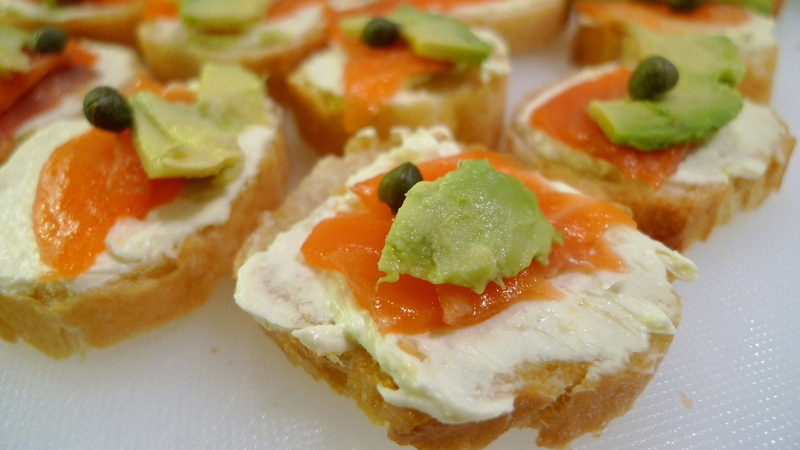 topped with wasabi cream cheese spread, smoked Norwegian salmon, avocado, and capers. I had purchased shiso leaves that I was going to include on this but forgot them! Repeat of my watermelon, cherry tomato, feta cheese, and mint salad from a few weeks ago, except this time I used a yellow watermelon which made it so much more colorful. This entry was posted in Uncategorized and tagged Appetizers, cooking, food, Snacks by christao408. Bookmark the permalink. Very cool stuff! I love the Tawn C. website – very well done. 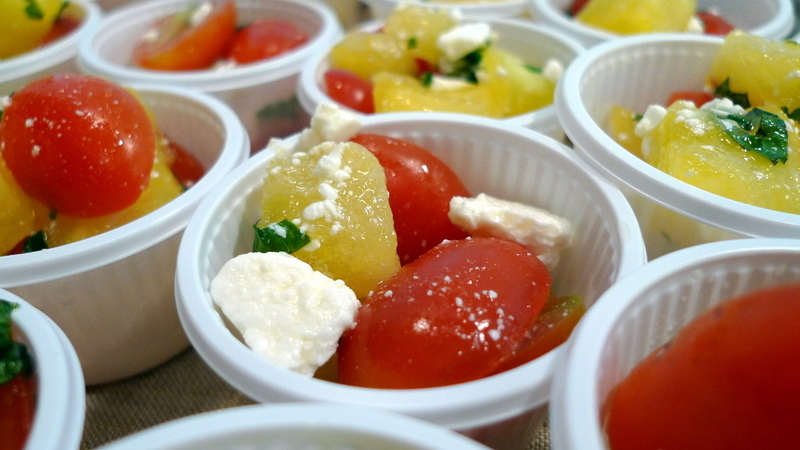 The food looked delicious – I’m curious about the roasted beet and green apple salsa. Could you share the recipe? Wow this is amazing (: I wish I could try everything haha. I hope his debut went well! Good job! The food looks delicious! Aww… that is very sweet of you cooking all of those. They look very delicious! I’m on my way to check out the link. Thank you! =)Congratulations, P`Tawn! Maybe you should launch your own line of buffet food!!! Congrats to Tawn!! Woo Hoo, label launch. I’d find a way to crash it to sample some of that food. Congratulations! Tawn’s web site is really glamorous. I love his TC logo. I love the food you prepared Chris. Dang, I wish I was there to tast some of these foods. everyone is posting about food today! I’m so hungry! yum! great ideas! i’ll have to remember some of those for next year…. i usually host a holiday party in december and try to do finger-food type appetizers, and am always looking for new ideas. Chris – you did a wonderful job preparing those appetizers. I really want to try the ones with the smoked salmon. btw – Tawn’s website looks very nice. @ZSA_MD – Thanks for the recommendation! Would have been lovely to have you here to try everything. 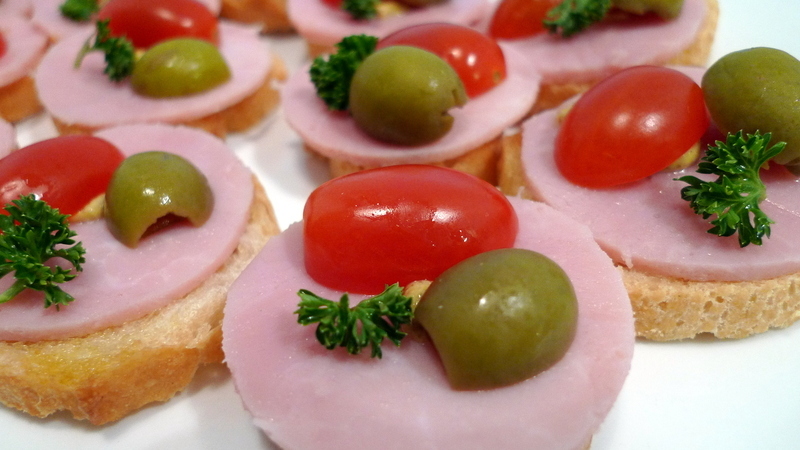 Except the ham…@kunhuo42 – Martha Stewart has a really nice book about appetizers. Several of my recipes or inspirations came from there. @justfinethanku – Food is one of those safe topics that is unlikely to offend anyone, right? Ha ha! @ElusiveWords – @CurryPuffy – Glad you liked the website. He and his designer have spent a lot of time tweaking it. Gary, I doubt he’ll do a men’s collection anytime soon. There’s more money in women’s clothing. @Fatcat723 – Oh, this type of food is a lot of tedious work! Same reason I don’t want to have my own restaurant – you can to prepare the exact safe thing again and again and again…@stevew918 – No catering for me, thanks! @Passionflwr86 – @Ricardo98 – @I_love_Burma – @hilabpartnerxD – Glad you found the food pics enjoyable. Wish there was a way to share the food with everyone through Xanga. @The_Eyes_Of_A_Painter – Thanks; he is certainly moving forward. I hope the progress continues. 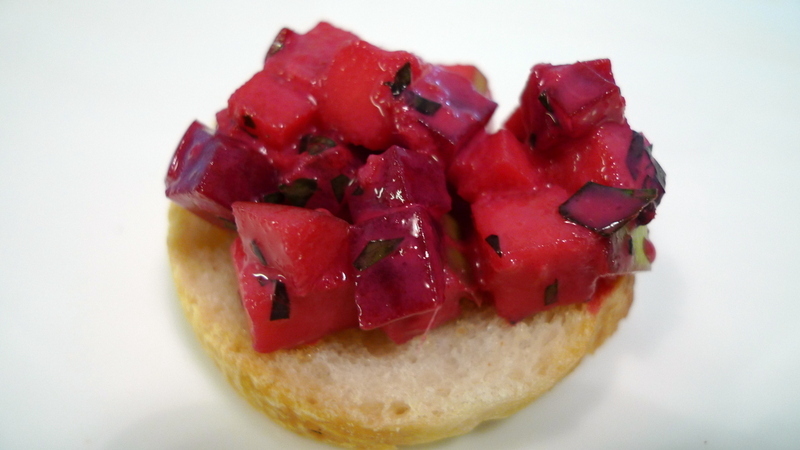 @murisopsis – This Apple, Ginger, and Beet Salsa comes from Martha Stewart’s Hors D’oeuvres Handbook:Mix 2 medium beets, boiled, peeled and cut into 1/4″ dice with 1 Granny Smith apple, unpeeled and cut into 1/4″ dice. Dress with 1 tablespoon fresh lemon juice, 1 teaspoon fresh minced ginger, and 1 tablespoon red wine vinegar whisked together. Garnish with 1 tablespoon chopped flat-leaf parsley and Kosher salt to taste. Based on my experience, I’d recommend you be careful with the vinegar otherwise the salsa tastes quite sour. I also mixed in about a half cup plain yogurt to give it a creamy texture. yummy. i especially would love that za’atar puff pastry. and the watermelon salad. You and Tawn are a power gay couple Seriously! @rudyhou – Za’atar is one of my favorite spice combinations. So tasty! @stepaside_loser – Ha ha… hardly. Sweet of you to say so. Whole grain mustard. Never heard of that. Yay go Tawn!! !And yay go Chris too!!! @Inciteful – Yes, instead of being finely ground into a paste, there are still chunks of the mustard seeds. Nice texture and stronger flavor. @yang1815 – Thank you.